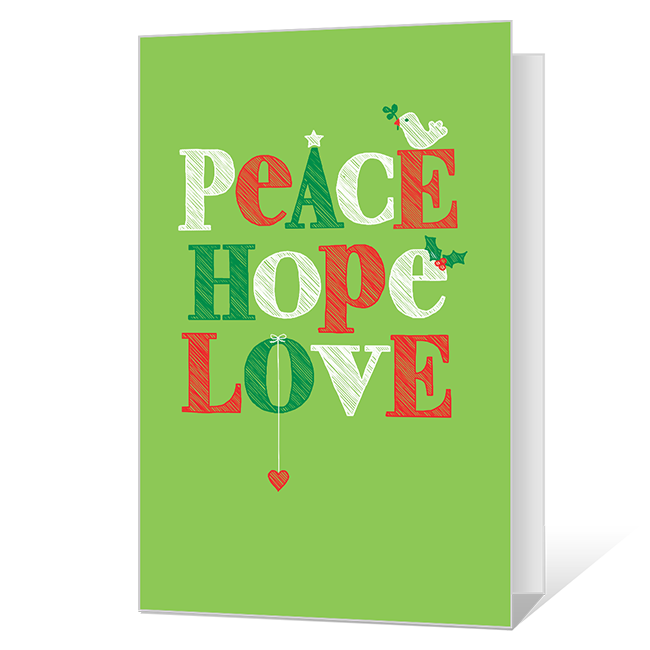 Cover Verse: Peace, Hope, Love. Inside Verse: May the joys of the season live in your heart long after the holidays are over. Merry Christmas.